Remember how we posted a few weeks ago that last year’s Go! 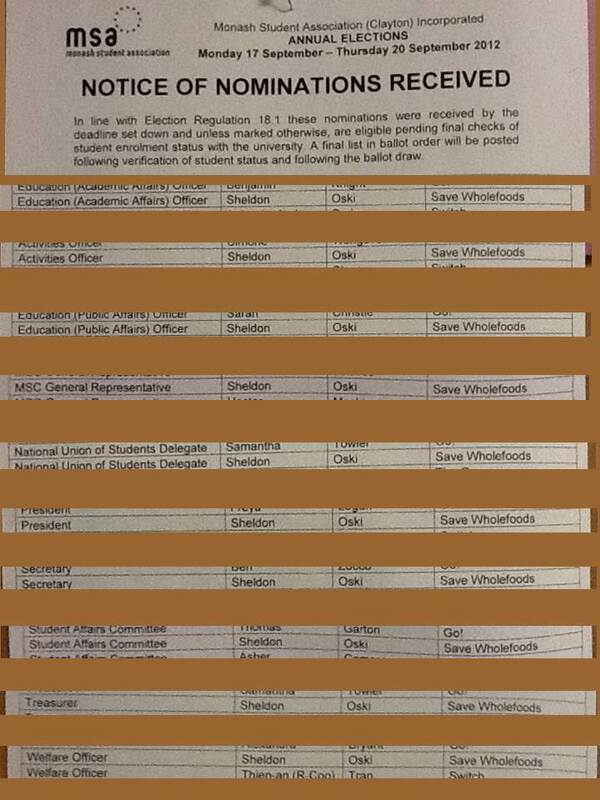 Secretary, Sheldon Oski, registered “Save Wholefoods” as an election ticket for the forthcoming MSA General Elections? Furthermore, the Tribunal also considered Sheldon’s involvement in registering another ticket, “The Greens.” In this case the Tribunal also found against Sheldon, a well-known member of the Australian Labor Party, for similar reasons of likely being misleading and deceptive. 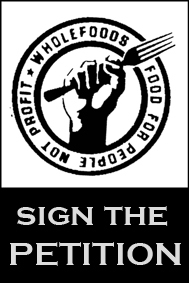 In any case, Sheldon is still running for 10 positions in the forthcoming MSA Student General Election, but not with the “Save Wholefoods” ticket name.